Tooth loss can have a large effect on your dental health and personal appearance. Loss of one or more teeth can lead to a change in ones bite, the loss of additional teeth, decay and gum disease. 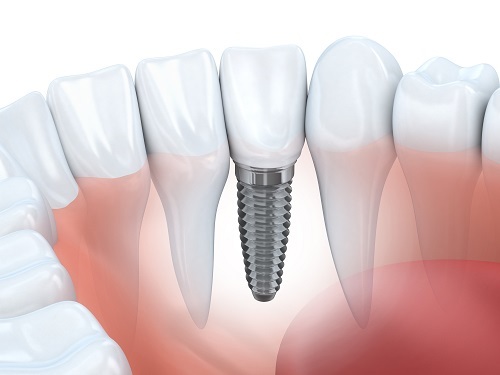 Dental implants are an ideal option for replacement of one or more teeth in many situations. The implant consists of a titanium screw that replaces the root of the tooth, and a post on which a porcelain crown is attached. The procedure involves placement by a surgeon, a healing time for bone to grow around the artificial root, and placement of the porcelain crown by the Crosby Dental Group team. The result is an excellent replacement that may be, in many cases, superior to regular crowns or bridges.